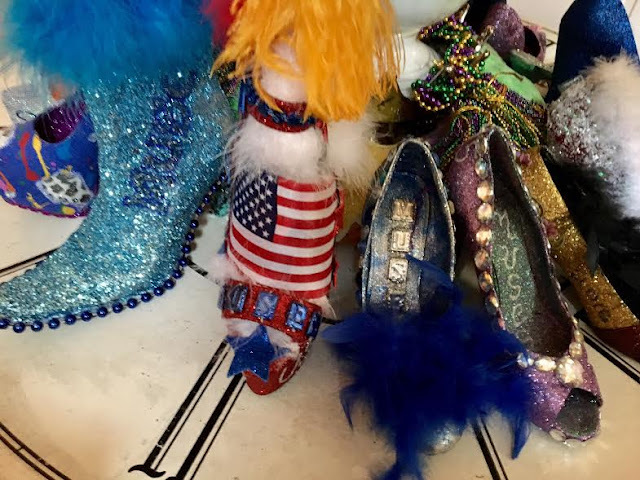 Only in New Orleans would someone covet an old, glittered shoe, but I do. 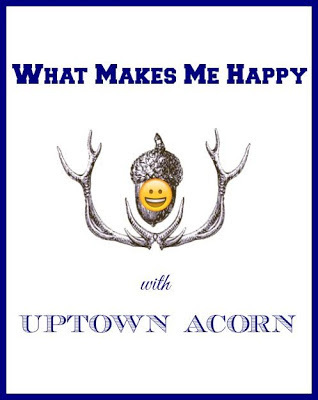 Welcome back to my weekly series, What Makes Me Happy. With such negativity in this world we live, I hope the little things that make me and my guests happy inspire you to be thankful for the little things in life. Think of what make you happy. With parades in full force, I am coveting the addition of the glittered shoes to my growing collection. 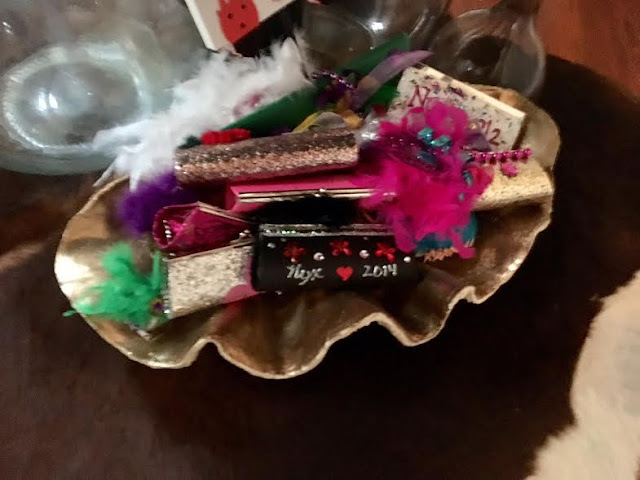 Made by krewe members, each one is in itself a work of art. 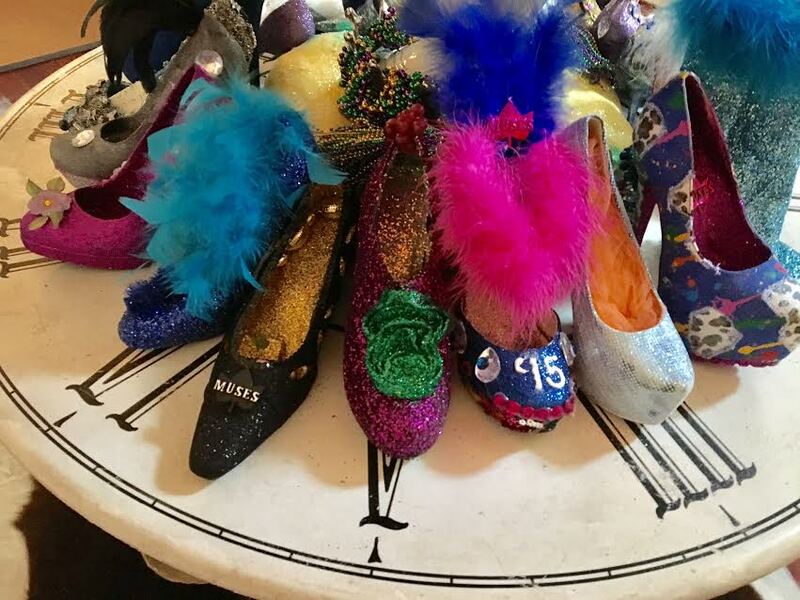 If you read my recent feature in ADORE magazine, you know that these specials shoes bring joy to my life. I display each and every one proudly on the table in my stair parlor. Guests often congregate here and pick their favorite one(s). 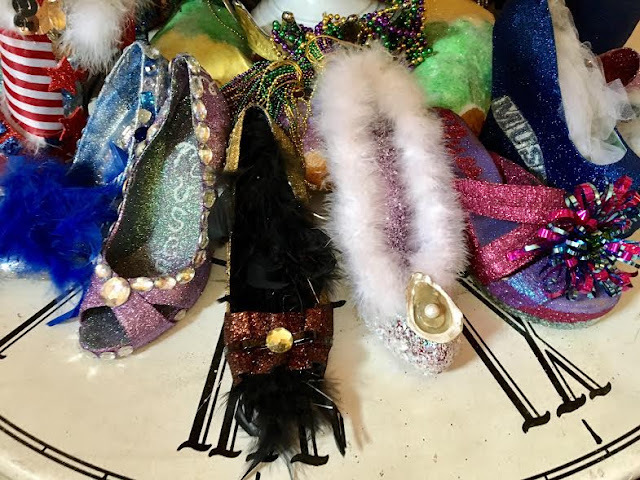 If you ride in the Muses parade, hit me up with a shoe. 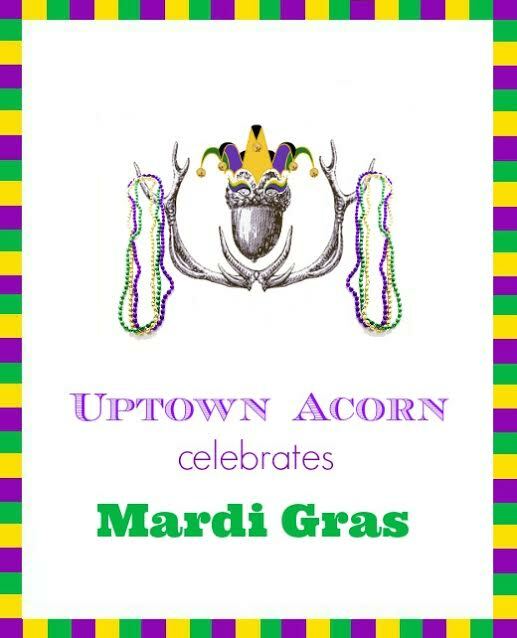 I'll be happy to feature it here on Uptown Acorn. How's that for begging? Oh, I kinda like the Nyx purses too! You can see my other What Makes Me Happy posts HERE. 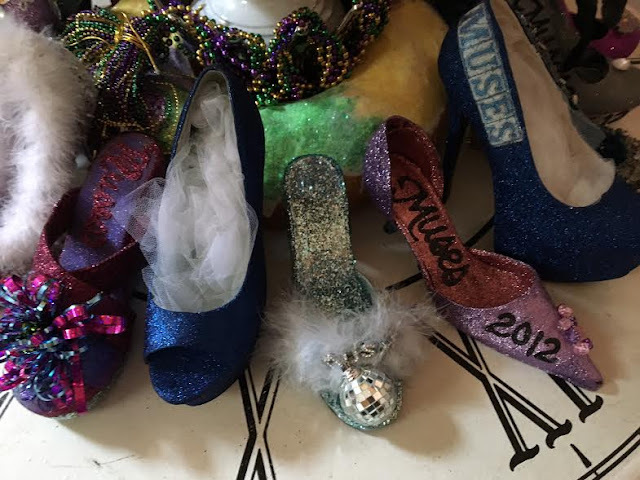 Muses Shoes = Happy, y'all! I always love seeing your glittery shoe collection. So much creativity went into them. A double happy, it makes them happy to create them and you happy to receive and collect them. A win in my book. Oh my word, your collection is amazing. How fun Ron! You've made a very creative tribute on the table with your Muses shoes and Nyx purses! I can see why this makes you happy- good memories! I can see why this makes you happy. It made me smile. 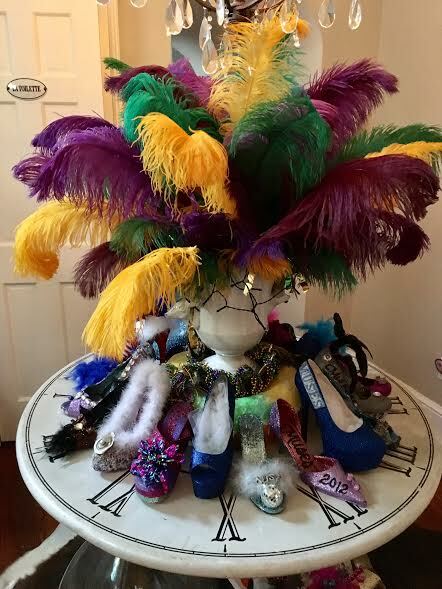 How fun to have this collection of shoes and purses. Ron, question...Are you actually catching the flying shoes in the air?? What a stunning collection Ron! So many fond memories of Mardi Gras! 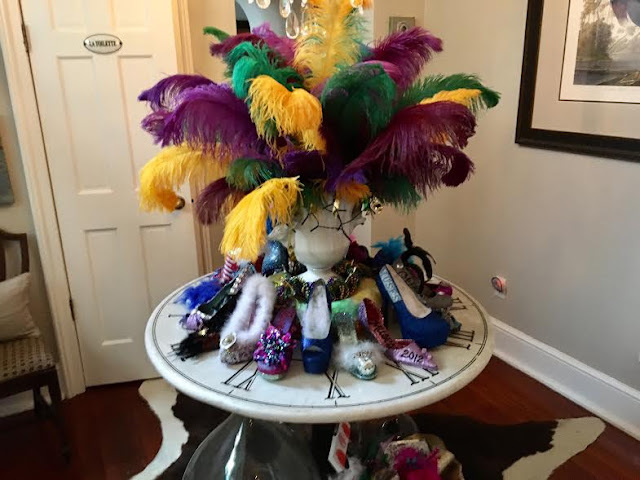 Well, having never been to New Orleans I don't know about these shoes and purses. But I know my Mom would have loved them. 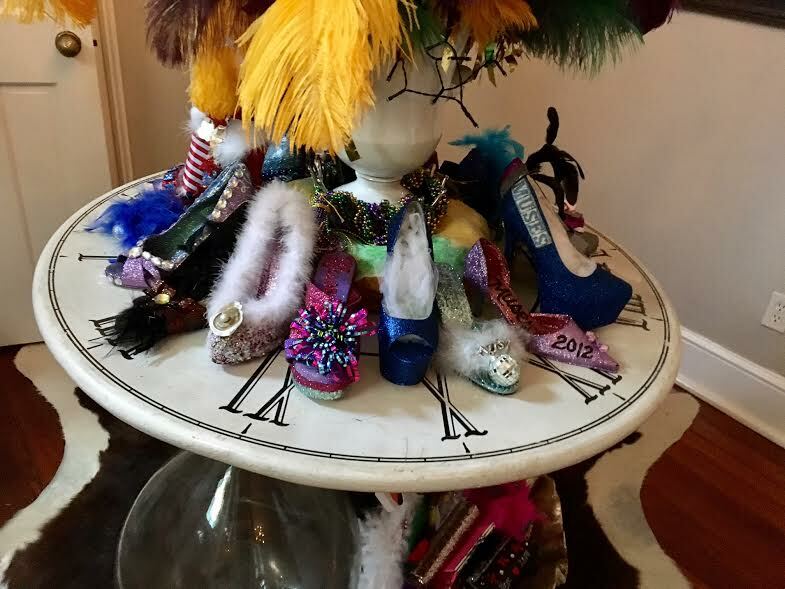 She collected miniature shoes. When she died I gave them to my sister and wish I had kept a few. We are having GORGEOUS Spring like temps here in Pa. and I am LOVING it! You had me at "shoes"! I have to laugh a bit each time I see them because they remind me of my first prom. 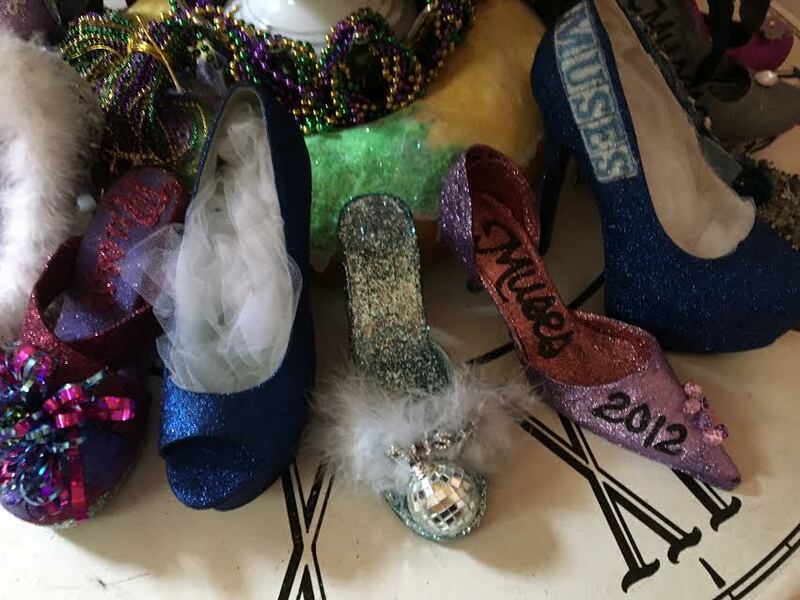 My family did not have a lot of money, and my mother made my shoes match the dress she made for me by spray painting a pair of my old Sunday shoes silver, then coating them with glitter and adding some ribbons and rhinestones. They would have looked right at home on your table. I thought they were divine!